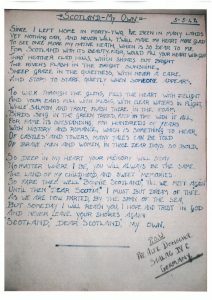 April’s document of the month is a unique volume of war poems (A1523) collected from fellow Prisoners of War by Private Alexander Donoghue of The 8th Argyll and Sutherland Highlanders during his time as a Prisoner of War in camps Stalag 4B based near Mühlberg, Germany (the largest in the country) and Stalag 4C based in Dĕčín, present day Czech Republic. 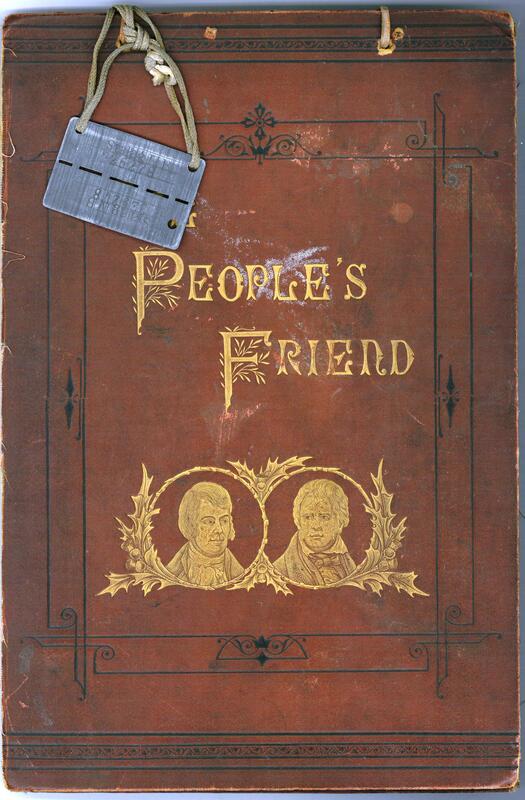 Part of the binding of the volume contains Alexander’s dog tags from Stalag 4B with his prisoner number – 225278. 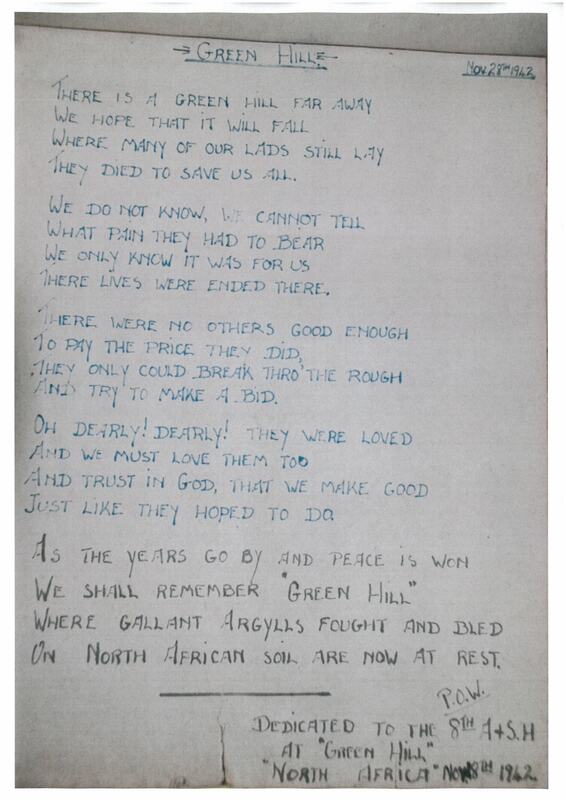 Also contributing work himself, the poems date between August 1942 and Christmas Eve 1944, and provide an insight into what was on the minds of Alexander and the men he lived alongside during this time. 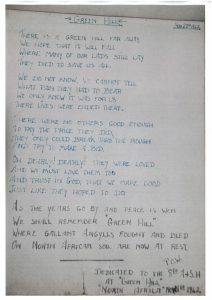 With titles such as “Down by El-Alamein”, “Under the Libyan Sun”, “Courage”, “Mother” and “My Wish”, the content largely focuses on many thinking of the battles they had fought in and the friends they had lost; and thoughts of home, of comfort, and of hope to a time when the war may finally be over. 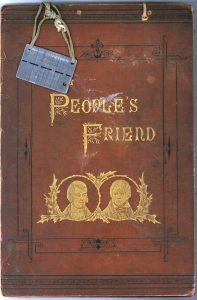 The work is usually anonymous, with just the date and “POW” written next to each. As part of the 51st Highland division, Alexander and many of his fellow prisoners saw action in The North African Campaign which included decisive battles and Allied victories such as The Second Battle of El-Alamein in late 1942, eventually leading to the surrender of all Axis forces in the region. 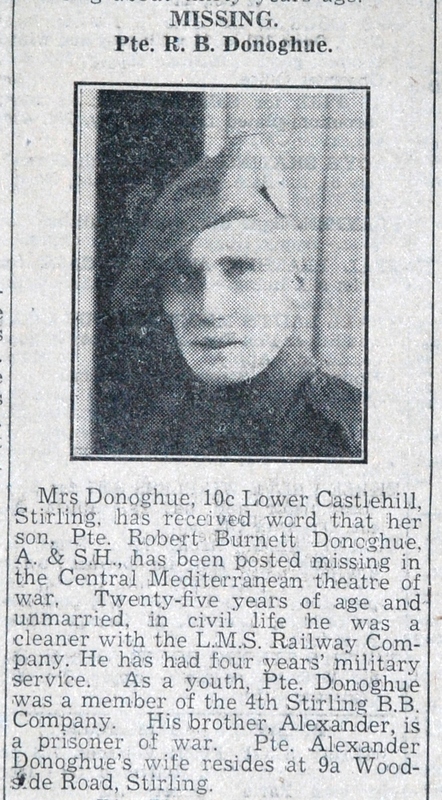 Alexander was a local based in the Castlehill area of Stirling, and fought in the war along with his brother, Robert who also became a Prisoner of War. Alexander was a married father of two young sons who, in civilian life, was an employee of Messers Haldane and Co Forth Cooperage based at Abbey Road, Stirling, and was a keen trombone player. His brother was unmarried and a cleaner in The LMS Railway Company before the war. 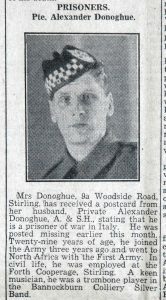 Chronicled in The Stirling Observer newspaper, it was reported when Alexander was listed as missing, and later a POW when his wife received a postcard from him from Italy in September 1943 (PD/72/156). 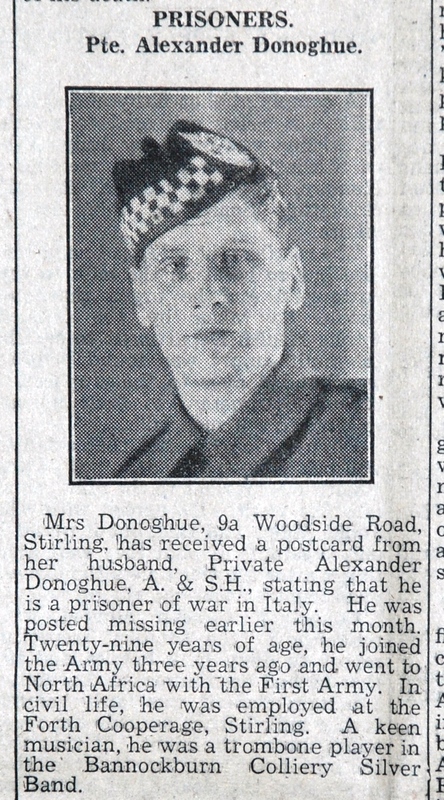 Likewise, his brother was also thought missing for three months before confirmation was received of his being held as a POW in January 1944 (PD/72/158). 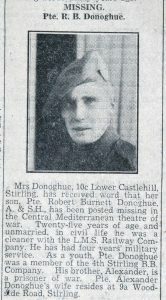 An article entitled “Back from the Prison Camps” dated 24th May 1945 (PD/72/160) confirmed Alexander’s liberation and reuniting with his family at home, including with his brother who had returned before him. Easter cards made by Louisa Stirling for her mother Henrietta, 1885 and 1887.